Welcome home to Aurora Hills! 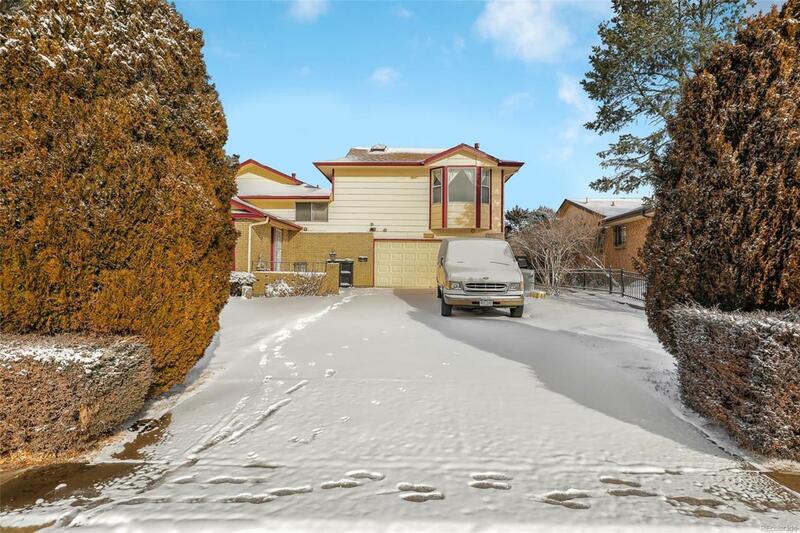 Located within walking distance of Expo Park, this tri-level home offers hardwood flooring, vaulted ceilings and an oversized garage. The eat-in kitchen, which flows seamlessly into the dining room, is equipped with plentiful cabinetry, for your every storage need. Adjacent to the kitchen, the large master suite offers a sitting space, cozy fireplace, walk-in closet, en suite bathroom and deck access. Two secondary bedrooms share a full bathroom. In the basement, find a large rec room with bar and fireplace, a bedroom, 3/4 bathroom and laundry room. Zoned for Cherry Creek Schools. Centrally located with easy access to Anschutz Medical Campus, Aurora Medical Center, DIA, the Tech Center and I-255. See 3D tour for more details!